Cold weather can create some of the harshest driving conditions of the year. The months between October and February top the list for accidents, vehicle damage and injuries. “Advanced safety technology is a great development, but it’s no match for Mother Nature with her icy roads and snow drifts,” says Jeff Labanovich, VP of Operations, CARSTAR Canada. “Drivers today sometimes have a false sense of security with vehicle safety systems. But what some may not realize is if those sensors are covered in ice and snow, they may not perform optimally, putting the driver in danger. 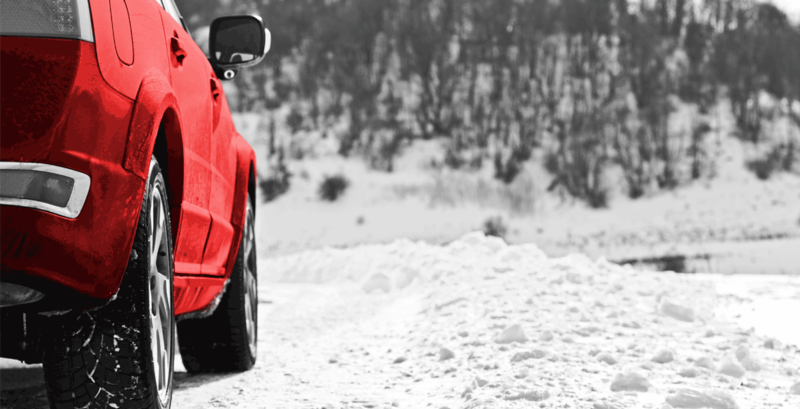 CARSTAR repairs thousands of vehicles each year damaged in snowy or icy conditions. The collision repair expert is providing a few helpful tips to make winter driving safer. • Add de-icer to your windshield wiper fluid. • Make sure your windshield wipers are free of ice before heading out on the road – and consider updating with new flexible windshield wipers before the snow hits. • Make sure all mirrors are clear and properly adjusted for visibility. • Clean your headlights and check the bulbs in all of your vehicle lights – front and rear. • Clear the snow and ice from the sensors in your bumpers, windshield, front headlamps and side mirrors. • When there is snow or ice on the ground, drop your speed to a safe limit. • Leave extra distance between your vehicle and the car in front of you for additional safety. • Do not use cruise control on icy roads. • Use caution on bridges, overpasses, and infrequently travelled roads because these may be slippery from ice. • Use extra caution when driving on one-lane roads. • Take your foot off the accelerator. • Steer in the direction you want the front wheels to go. If your rear wheels are sliding left, steer left. If they’re sliding right, steer right. • If your rear wheels start sliding the other way as you recover, ease the steering wheel toward that side. You might have to steer left and right a few times to get your vehicle completely under control. • If you have standard brakes, pump them gently. • If you have anti-lock brakes (ABS), do not pump the brakes. Apply steady pressure to the brakes. You will feel the brakes pulse — this is normal. • Take your foot off the gas and shift to neutral, but don’t try to steer immediately. • As the wheels skid sideways, they will slow the vehicle and traction will return. As it does, steer in the direction you want to go. Then put the transmission in “drive” or release the clutch and accelerate gently. • If your vehicle has rear wheel drive, put something heavy like bags of sand to ease vehicle control. • Pack a snow day kit just in case you are stuck. Important items to include are a blanket, gloves, hat, water, granola bars, flashlight, extra batteries, extra cell phone charger, flares, wooden matches in waterproof container, compass, scissors, rope and a first aid kit. • Prepare a toolbox for digging your car out with foldable shovel, 2×4 planks to put under tires, ice scraper and snowbrush, reflective triangles, flares and exterior windshield cleaner. It is also important to consult the local regulations and recommendations for winter tires, studs and chains. Guidelines are available here. Visit one of the CARSTAR Express locations to get your vehicle winter ready. Find a location near you at CARSTAR.ca. CARSTAR recommends having a collision plan in place so drivers are not stranded on the roadside waiting for assistance. CARSTAR offers high quality, reliable repair service in 35 states and 10 Canadian provinces. Call 1-800-CARSTAR in case of an accident and they can send a tow truck, contact the driver’s insurance company, arrange for a rental car and repair the vehicle. For information and store locations visit www.CARSTAR.ca.